Suspicious Death Now Being Investigated As a Homicide. On March 18, 2019, at approximately 6:00AM, members of the Los Angeles County Fire Department responded to the 150 E. Bonita Ave regarding a fire alarm activation. Upon arrival they made entry into an apartment where they discovered the victim lying within. Fire Dept. personnel checked & treated the victim; however, & unfortunately, she was pronounced dead at the scene. Along with the victim, a small dog was also found dead in the apartment. Fire personnel immediately contacted the Pomona Police Department upon finding the victim inside the apartment. Detectives responded and the initial investigation was being investigated as a suspicious death; however, investigators with the Los Angeles County Coroner’s Office responded to the location and conducted their investigation. During their investigation investigators noticed the victim had several injuries on her upper torso area consistent with being stabbed & physically assaulted. There was also evidence indicating a fire had been started within the apartment, thus, setting off the fire alarm. This incident is now being investigated as a Homicide. Detectives are asking that anyone with information regarding this incident to please contact the Pomona Police Department Tip Line at (909)620-2085. You have the option to remain anonymous. Just before 6am this morning, officers responded to the 150 block of E. Bonita Ave. regarding a suspicious death. 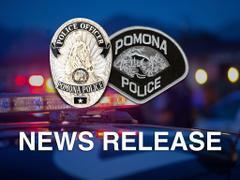 Pomona Police Investigators are currently working with the Coroner’s Office to determine the cause of death. The victim’s identity is not being released pending notification of next of kin.